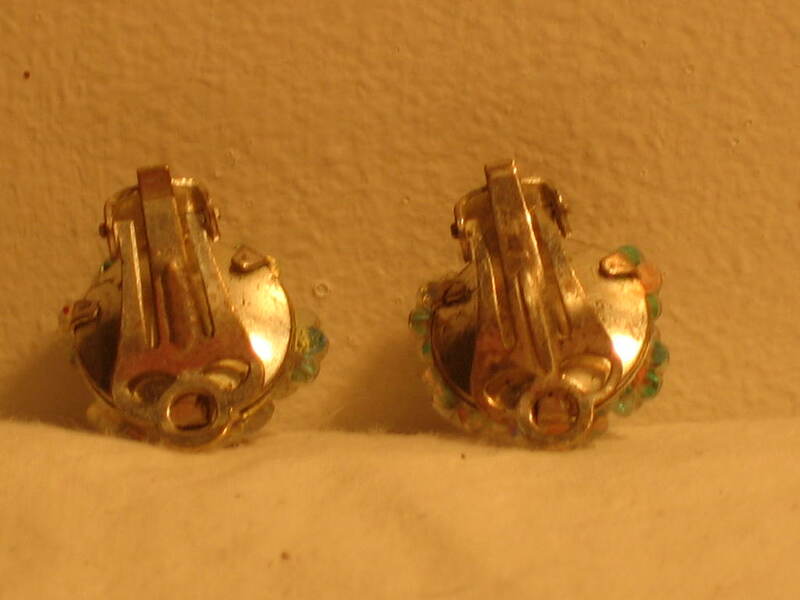 1950s vintage sparkly white/gold clip on earings. 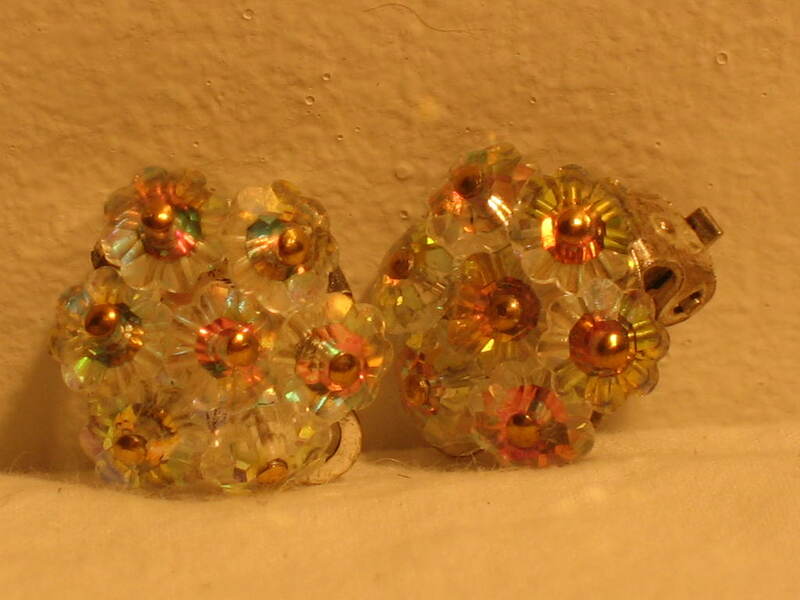 This is a lovely, ladylike pair of flower-shaped seriously sparkly earrings from the 1950s. The purpose of earrings is to draw attention to a woman's eyes, and to increase their shine (and therefore, her desirability!) 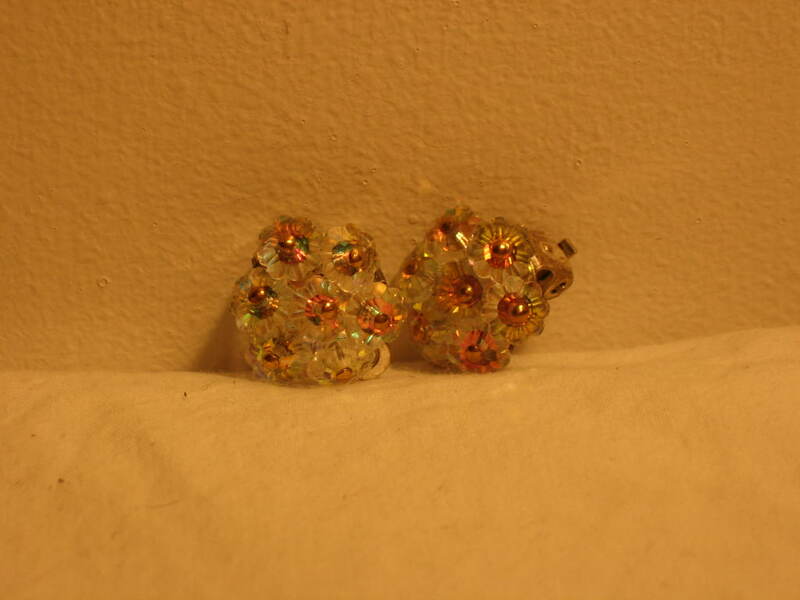 Each earring is made of seven little, multi-faceted, flat petals of glass (or plastic?) 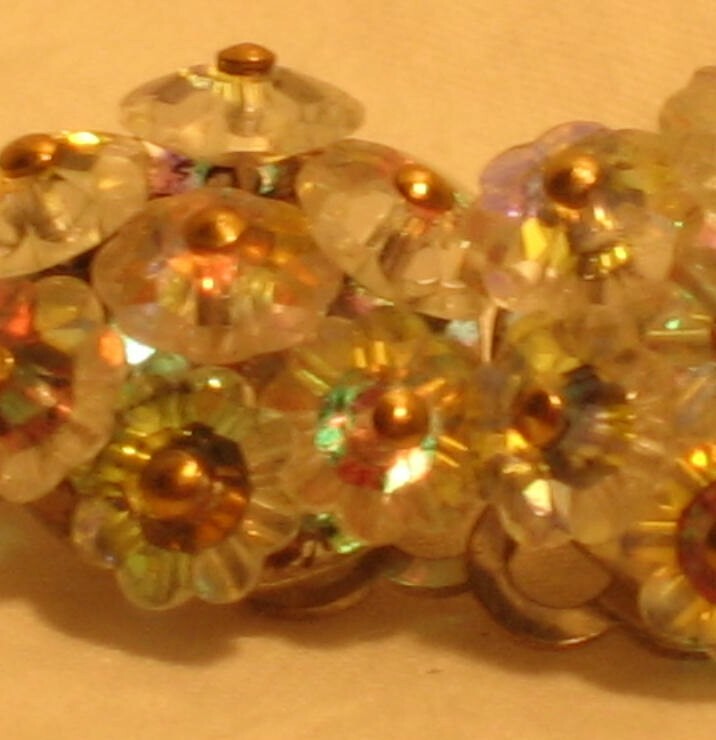 secured with a gold pin; the facets reflect light from the petal as well as the pins. If that doesn't make your eyes shine, nothing will! These are quite small and discreet, measuring about ½ inch across at the widest point. 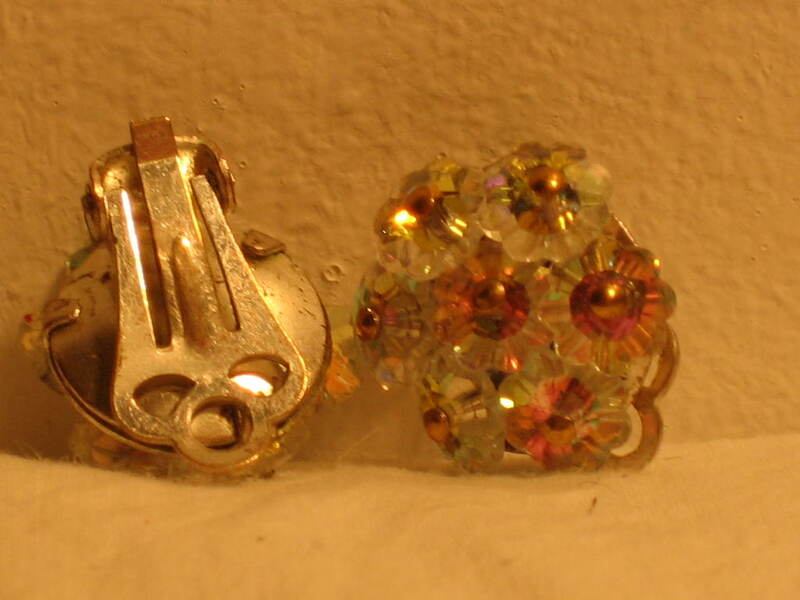 And although they are clip-ons, they are perfectly comfortable, weighing only around 2grammes each.